The world is a very big playground for every traveler, and as much as it is definitely exciting, it can also be a bit daunting. Where do you exactly go to get the most authentic experiences? How do you sample local culture without compromising your preferences? That’s what KKday endeavors to answer. Headquartered in Taipei, it’s a notable ecommerce travel platform that seamlessly connects travelers with carefully curated local tours and activities. So go ahead, explore over 10,000 travel experiences in more than 500 cities around the world. With KKday, you most certainly can travel your way. The homepage of the site offers many suggestions by categories. Check them out! KKday eGift will be exchanged to a KKday voucher that can be used at KKday website. Instructions on how to exchange the eGift to a KKday voucher will be part of the eGift details sent to the recipient. The booking and travel period will be sent through SMS. Credit card is required upon checkout at KKday website. 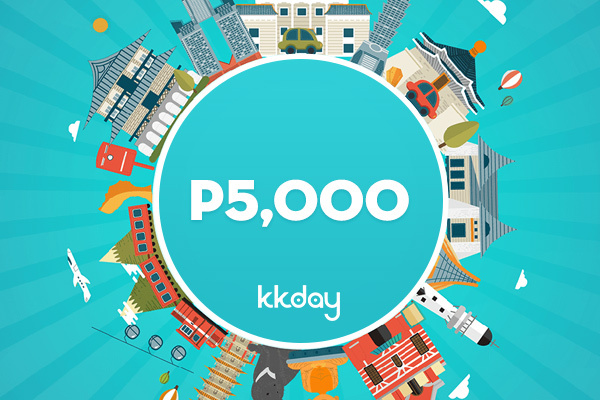 The KKday voucher is for one-time use only. Each eGift has a unique code that corresponds to an amount/denomination. The recipient is responsible for the safekeeping of the eGift code. The KKday voucher is subject to other terms and/or condition. KKday only accepts one (1) voucher per checkout. Once the eGift is converted to a KKday voucher, it may not be exchanged, refunded, or voided.